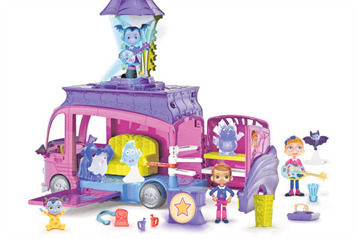 Vampirina is going on tour with The Ghoul Girls, and you can come along for the ride with the Vampirina Rock N' Jam Touring Van playset. It lights up, plays music, and transforms into a spook-tacular stage. 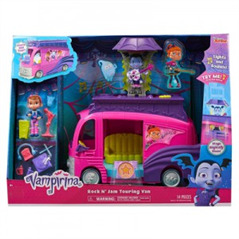 As a van, it has space behind the wheel for two figures to sit - perfect for the included Vampirina and Poppy figures. And it has real-rolling wheels so kids can drive it all around. But flip down the side panel and open the rear door to reveal space inside for playing. The speakers flip down to become beds and piano key-themed spiral steps swivel out from the keyboard. When it's time to perform, place a doll on the stage inside the van, and press down on the top to make the stage rise up while music plays and the stage lights up. (Once the stage is up, the driver's seat swings back to become a sofa.) You can press the bat button for more lights and phrases. Set the stage with the other accessories, including a Spookylele, a microphone, a record player, drums and drumsticks, headphones, a speaker, a bag of popcorn, two cups, and a bat-themed music award. Vampirina fans will have a lot of fun playing out musical adventures for Vampirina and her friends. There are a lot of fun surprises and features on this playset, and kids are going to like singing along with The Ghoul Girls and putting on their own rock shows, too. The Rock N' Jam Touring Van is for Vampirina fans ages 3 and up. Some assembly is required but is easy to do. 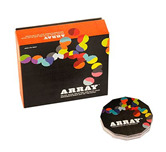 The toy includes three AAA batteries for the in-store try-me features, so we recommend replacing them before you play for best results. When it comes to preschool properties, Just Play has been killing it over the last few years with its PJ Masks toy line and Disney Junior Doc McStuffins dolls and playsets. Now, there’s a new preschool hero in town. Disney Junior’s Vampirina, a preschooler animated series which debuted on the eponymous channel last fall, has quickly become a hit. This van transforms into a stage so “Vee” can perform with her favorite band, the Ghoul Girls. Plus, it comes with two figures: Vampirina and her BFF Poppy. 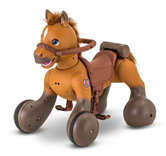 Role-play is great for stimulating a child’s imagination as well as developing social skills and empathy while learning how to cooperate, share and take turns.